the path of the ground to the operator wearing a single wire wrist strap. 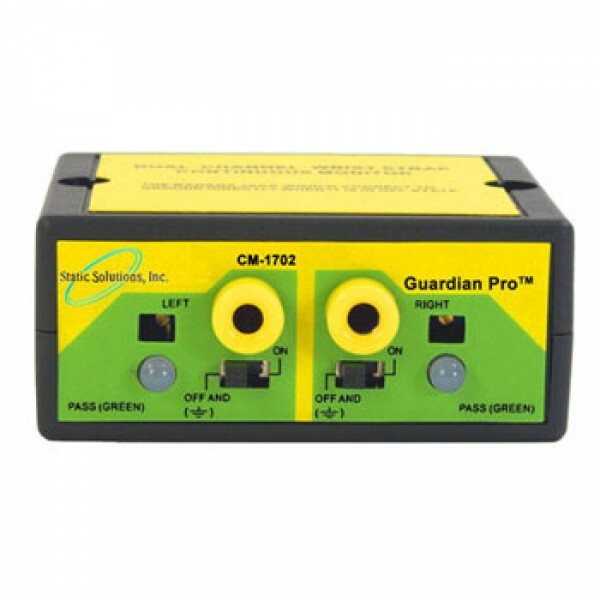 The Guardian™ Pro CM-1702 monitors two wrist straps and two operators to ensure that the wrist strap, mat, and ground connections are continually functional. Works with all brands of single wire wrist straps.